Will useless and killing PC protection denuvo? Yea we need RCON back! This franchise is less and less good I find. The last bf that I found good was bfbc 2 and battlefield3. Did they fix hit box while vaulting through windows? I saw multiple people kill players who were in mid-roll while doing the new window jump animation and their shots seemed to hit. There's no confirmation on that. That's what Westie says in the video. Did you even look and view the video? He says it's pure speculation at this stage. But Westie knows his stuff and it's worth putting it out there for everyone. I did watch it the moment it got uploaded. 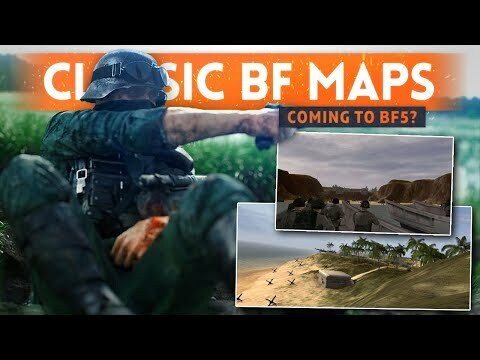 I'm just saying if it's speculation you can't say "Classic Maps coming back to BF V". That doesn't sound like a speculation but a fact. Even if he knows his stuff, It's not guaranteed. If you cared to look at the thumbnail from the video it has a question mark "Coming to BF5?" You are just being semantic. Ah no, you just were wrong and I was pointing this out, nothing to do with me being sensitive. Believe what you like. Last & greatest BF ever made BF4. BF R.I.P!!! "We shall take a moment of silence to honor your memory, and we swear we shall honor that memory by laying waste to all C.O.D refugees whom actively took part in your demise!"